As we continue breaking in the newly opened makerspace, one way we have decided to invite the community in is by offering workshops! Every other Monday throughout the day there will be a workshop for a particular topic or activity. 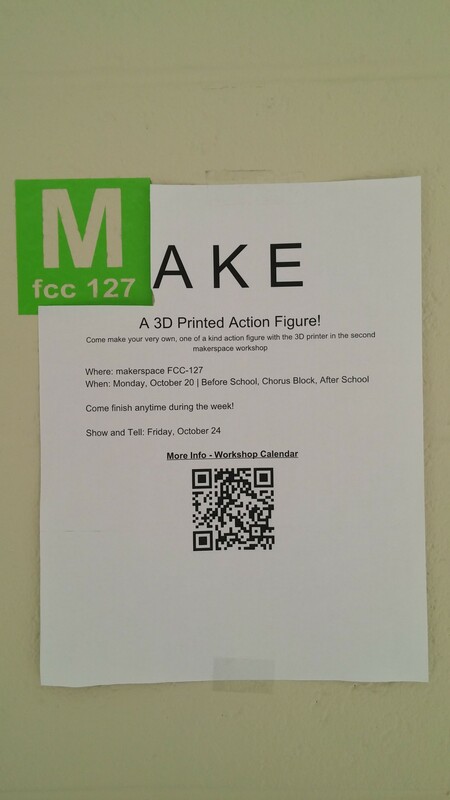 People are then welcome to come back and finish their projects at the makerspace or take them home! On the Friday of that week, there will be an optional ‘Show and Tell’ where people can present their finished or in-progress projects from the workshop. Question: How will people find out about these awesome workshops? Answer: A makerspace “Founders Logo” decal put up around the FCS campus. Anywhere you see these will be an informational flyer about the upcoming workshop. They can even stand as an an ongoing advertisement for the makerspace or just a reminder that everyone is welcome to come to the makerspace, even if there isn’t a workshop that week. What it is you can come make at the workshop. 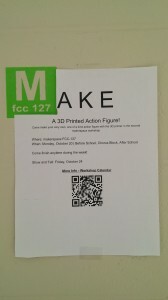 A QR code to the calendar of workshops so one can see if there are any workshops in the future they might like to attend. 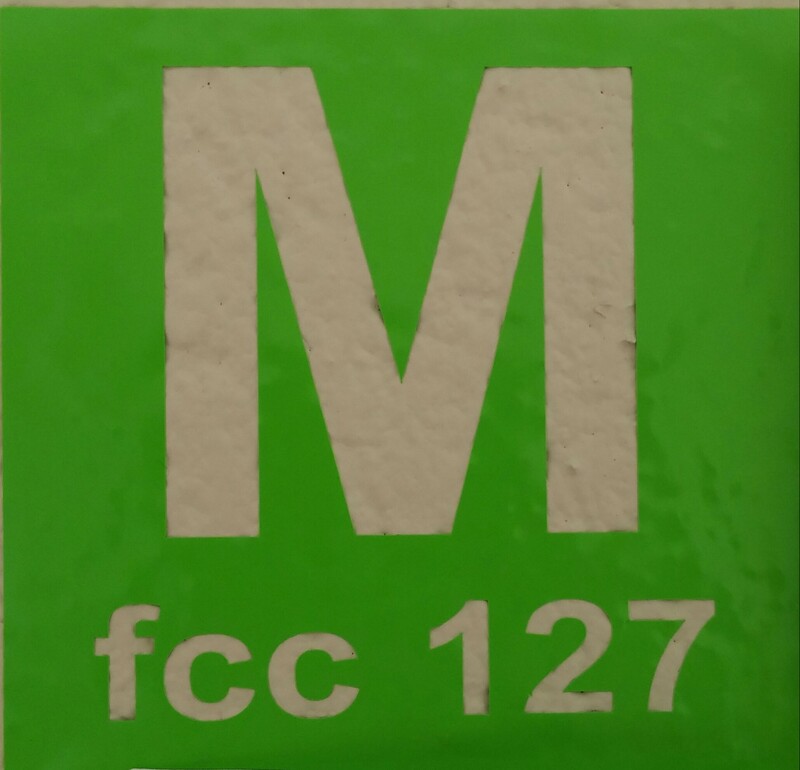 We hope these decals might promote the makerspace and invite the entire FCS community to enjoy the space together.